The Giant Red Tail Gourami is a very large fish, and definitely the most attractive of the giant gourmis! The Giant Red Tailed Gourami Osphronemus laticlavius is a beautiful but very large fish. It can grow up to 20 inches (50 cm). It is a relatively new addition to the aquarium hobby having only been described in 1992, with some of the first aquarium species showing up around 2004. It is much sought after but is still rather rare in the aquarium trade. But if you can obtain one it makes a spectacular showpiece for the very large community aquarium. This fish is one of four giant gourami species currently recognized in its genus. It is a slightly smaller and more colorful version of its close cousin the Giant Gourami or Common Gourami Osphronemus gouramy. The O. gouramy was scientifically named long ago in 1801, so it is a much better known aquarium specimen. It is also the largest gourami, reaching up to 2 1/3 feet (70 cm). This species is the most colorful of this small group of giant gouramis. Its a natural color that can be quite beautiful. It has wonderful blue-green highlights to its body and fins that are trimmed in red. As a juvenile the color is less dramatic and the bright decorative fins developing with age. But it is a fast growing species with a voracious appetite, so its color quickly evolves. Many fish species that are red, or partially red, are considered to be good luck by many Chinese so the demand for this red finned giant is very high! This species is also commonly known as the Giant Red Finned Gourami, Red Flag Giant Gourami, Giant Red Fin Goramy, and Red Tail Gourami. This is a big fish that needs a very large aquarium. Though not a difficult fish to keep, due to its size it is generally kept by experienced aquarists that can provide a large environment. Keepers of this fish should plan on eventually having a 180 gallon or larger tank available to house them in. They can be kept in a community setting but their temperament with tank mates is changeable. As juveniles they can be rather feisty but as adults they tend to mellow out, usually only becoming aggressive it their tank is too small. They will usually be peaceful with other large robust fish. When raised and kept into adulthood they do "own" their tank and usually the fish they are raised will be fine, but new additions are at risk of being killed. These gouramis will grow into a very large, strong, and active fish. To make sure they have plenty of room to move about, the decor should be minimal. Just a few pieces of few pieces of driftwood or some smooth rocks will provide a sense of security. Some sturdy plants around the perimeter of the tank and floating at the surface are also enjoyed, but they do eat plants, so they need to be fast growing species. With its large appetite it will put a heavy load on the water and so a heavy duty filtration is recommended, along with a weekly water change of up to 50%. This species and the Kaloi Sarawak Giant Gourami O.septemfasciatus both reach a length of 20 inches (50 cm) while the Giant Gourami O. gouramy and the Elephant Ear Gourami O. exodoney are larger. The Giant Gourami is the champion in size, as suggested by expert and author Jong Vierke (1978) it can get as large as 2 1/3 feet (70 cm), while the Elephant Ear Gourami will attain almost 2 feet (60 cm). There is a high demand for this fish in parts of Asia and this helps to keep the price high. They are considered an important sport fish and a savored food source in their native countries. Their close relative, the Giant Gourami, is commercially produced in many parts of tropical Asia so it is hoped that the Giant Red Tailed Gourami will also become commercially available as well. Other common names it is known by include Giant Red Finned Gourami, Red Flag Giant Gourami, Giant Red Fin Goramy, and Red Tail Gourami. Like the Giant Gourami, they probably inhabit rivers as well as lakes, and may enter flooded forests during the wet season. These types of fish are also found in the stagnant water of swamps and marshlands as well as in canals where the water moves sluggishly. Their habitats are heavily vegetated and they are opportunistic feeders that will consume both plant and animal matter. Their natural diet consists of aquatic weeds, fish, frogs, earthworms and sometimes even dead animals. Social Grouping: Solitary - This fish is mostly a loner. The Giant Red Tail Gourami is laterally compressed with a deep oval shaped body and a blunt head. As adults they develop a 'nuchal hump', a swollen knob or lump on the forehead. Like all other gouramis they have a special 'labyrinth organ' which enables them to survive in oxygen-depleted waters. This organ is a part of the fish which allows it to absorb atmospheric oxygen directly into the bloodstream by gulping air at the surface of the water. Juveniles have a steely blue gray to black color. As they mature they develop wonderful blue-green highlights and fins that are trimmed in red. They reach 20 inches (50 cm) in length and are very long lived fish, with an average lifespan of over 20 years with good care. Lifespan: 20 years - The average lifespan of this long-lived fish is about 20 years, and up to 25 years or more with proper care. They are hardy fish but they grow large, so as adults they will need a very large aquarium. With the size and maintenance require for this fish, they are suggested for experienced fish keepers. They are undemanding and will accept a wide variety of foods, but are also active with a voracious appetite. They will eat almost any freshwater aquarium foods if trained to do so at an early age. They can live up to 20+ years, so it takes a long term commitment to house this fish. These fish are very worth the time and energy needed to keep them healthy as they have a friendly personality towards their keepers, a trait not seen in many fish. Aquarium Hardiness: Very Hardy - This species is very robust however the tank requirements mean a lot of work and commitment on the aquarist's part. Aquarist Experience Level: Intermediate - This fish requires a very large tank so is suggested for more experienced aquarists. The Giant Red Tail Gourami are omnivores. In the wild they will eat aquatic algae as well as fish, crustaceans, frogs, worms, and even dead meat. In captivity it will generally eat all kinds of foods.To keep a good balance offer a high quality flake or pelleted food everyday. Besides regular fish foods, they will even eat cooked meat, bread, boiled potatoes and other vegetables. Offer beef heart or any other meat from mammals rarely, as they are not able to properly digest these foods. Feed brine shrimp (either live or frozen) or blood worms as a treat. It is are not a very picky eater and although it can be a voracious predator, this fish will eat almost any freshwater aquarium foods if it is trained to do so at an early age. If they are mainly fed live fish, your food bills will be very high so it is suggested that you start to train them on the dried foods as soon as they are obtained. Generally feed once or twice a day. Diet Type: Omnivore - Specimens may need to be taught to accept processed foods and it is recommended that the fish keeper begin this as soon as the fish is acquired. These gouramis are big fish that put a large bio load on the aquarium, so need ample filtration. They are extremely hardy fish and though the labyrinth organ allows the fish to survive in oxygen depleted water, it is a common misconception that this makes water changes unnecessary. This is hardly the case as these fish will suffer the same tissue damage from built up toxins as any other fish. Regular water changes are a must with 25 - 50% weekly being recommended. Water Changes: Weekly - Weekly water changes of 25 - 50% are recommended. The Giant Red Tail Gourami will swim in all parts of the aquarium. These fish grow large so as adults they will need a very large aquarium, 180 gallons or larger is recommended. They are hardy and quite disease resistant, so can handle a variety of water conditions. But they need clean water, so you will want to have a good filtration system with a moderate water flow, and do large weekly water changes, with 25% or more being reasonable. These gouramis will show their colors best on a dark substrate. As they are large and active, they will need minimal tank decorations.The tank should be decorated in a way which allows it unobstructed movement. These fish like to have areas to hide which can be provided with a few smooth rock structures and bogwood. Providing plants along the parameter of sides and back of the aquarium are also nice. They will enjoy thick areas of floating plants too but they will feed on the plants, so use fast growing species. Temperature: 68.0 to 86.0° F (20.0 to 30.0° C) - Keep the surrounding room temperature consistent with the water temperature to avoid causing trauma to the labyrinth organ. The Giant Red Tail Gourami are generally a peaceful fish, but there can be exceptions to this rule. Occasionally a large male can become very territorial and will attack other fish in their tank. It is best if you plan which species you want in your tank from the very start and obtain them all at or near the same time. Most of the time, fish that are generally considered compatible will get along better if they are raised together. Their size and natural diet will allow them to eat smaller fish, so watch out for any smaller tankmates. Sometimes though, predatory fish that are never fed any live fish, will grow up not knowing that other fish should be considered dinner. There are reports of large sized Giant Gouramis living peacefully with large barbs, small tetras, or danios. They can be kept in a community aquarium and are usually peaceful with other large fish. Adults will usually only become aggressive it their tank is too small. Good tankmates include knifefish, large catfish, and the loricariid (plecostomus) catfish from South America. When raised and kept into adulthood they do "own" their tank. So it's important to realize that the fish they are raised will be fine, but new additions are at risk of being killed. Temperament: Semi-aggressive - Although generally a peaceful species, they have a tendency to be territorial and are are not reliably gentle with more delicate tankmates. Same species - conspecifics: Yes - Can be kept singly or in pairs. Groups are possible with a large enough aquarium. Males are territorial and will tussle amongst themselves, and become aggressive when breeding. Peaceful fish (): Monitor - Although the fish is generally peaceful, very small tankmates may be eaten. There really isn’t much difference in males and females however the males may be much more colorful than the females. The Giant Red Tail Gourami have not yet been bred in captivity. Like most fish in this family, they are bubble nest builders and presumably will breed in a manner like their close relative, the Giant Gourami. For that gourami, breeding itself is relatively easy but a difficult task to perform in the aquarium. The Giant Gourami male will build a ball-shaped nest out of bits of plants just below the surface of the water. Providing a breeding tank that is massive enough for these huge fish is perhaps the biggest challenge. It helps that they reach maturity and are able to breed at about 6 months of age, at a length of about 4 3/4 inches (12 cm). But they will still require a very large breeding tank. In the wild the male Giant Gourami will build a ball-shaped nest out of bits of plants just below the surface of the water. They vary in size but are often about 16" (40 cm) wide and 12" (30 cm) deep. A circular entrance, about 4" (10 cm) across, always point toward where the water is deepest. The nests are mostly constructed in April and May, though spawning takes place throughout the year. The male will take 8 to 10 days to construct his nest, anchoring it to reed stems at between 6 - 10" (15-25 cm) below the surface. The spawn of the Giant Gourami will result in about 1,500 to 3,000 eggs being release. Their eggs as well as the fry, are lighter than water and float to the top. The male will gather the eggs in his mouth and place them in his nest. The eggs hatch in about 40 hours and the male will guard the offspring for about 14 days after the spawn. See additional descriptions of breeding techniques for labyrinth fish in: Breeding Freshwater Fish: Anabantoids. Ease of Breeding: Unknown - Although the fish is probably not difficult to breed, the breeding tank must be massive. Giant Red Tail Gouramis are very hardy so disease is not usually a problem in a well maintained aquarium. Some diseases they are prone to are bacterial infections, constipation and Hole in the Head if good water quality, nutrition, and maintenance is not provided. With any additions to a tank such as new fish, plants, substrates, and decorations there is a risk of introducing disease. It's advisable to properly clean or quarantine anything that you want add to an established tank prior to introduction, so as not to upset the balance. The Giant Red Tail Gourami are still relatively rare in the aquarium trade. 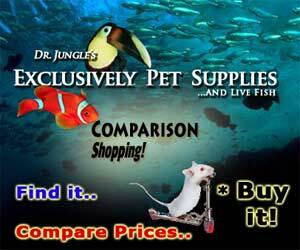 Specimens may occasionally be available in pet stores or on line, but will be relatively expensive. Hi to all giant red tail gourami keepers. i have keep this fish for 4 years. He likes to eat dried shrimp and pellets as well. Easy to keep if compared to an arowana. He can recognized his master after you keep it for some time. He likes to play much. I'd also like to share, we have few fish pools (300ft length on each pool)back at my inlaw's home.We breed Koi, Talapia, Giant gourami etc. We have estimated more than 30 of both black and red Giant Gourami (weighing 2-7kilos). He needs a confident non aggressive tank buddy. My red belly pacu's are gentle and kittens but if a new person enters the room they dash and hide if possible. But lately my feather fin catfish has taken ownership of every spot big enough for them to hide in! I have a red tail giant gourami which I kept for over a year already. It's been kept in an aquarium 4ft x 2ft x 2ft. The aquarium is decorated simple with small pebbles on the aquarium base and a few rocks with ample lighting... the problem that I've encounter since day 1 is that my fish is so scared stiff. Whenever I approached the tank to feed, the fish will swim vigoruosly throughout the aquarium. I know that the giant gorrami could be very tame when you keep them for a long time. There are no other fishes that are sharing the aquarium at the moment. Could somebody please give a solution to my problem? Thank you. You could try adding a lot of plants and maybe some swim-through logs. This might give him more of a sense of security and places to hide. Adding a companion fish might also help, but it might not. As long as he is eating and healthy, there is not much else you can do. i suggest you put your fish pet on a bigger space like fish pond.cause i have this kind of fish for a long time.like 20 years.i heard that this fish has a life span of 50 years.imagine that.i have one w/c i kept for seven years and it grows to a size of 18 inches. but when a friend of took it and put i in a 120 gal. aguarium with a thickness of a half inch.it scare on day when it sow something and get scares and smash the half inch aguarium with his head and baaMM.the aguarium broke and he died. now i have two fish w/c i kept for six years now in a pond together with a variety of guppies. This fish is definitely making a comeback in the Malaysia. This fish will develop its coloration based on the background color. If the aquarium background is dark, the red coloration at the edge of the fin looks brilliant but the fish overall coloration is dark and looks purplish black. On the other hand if the background is white, the fish will look brownish and the red marking is not so prominant as a dark background. This fish is bred in captivity and coloration depends very much on the feed, to see the coloration in full, ideally the aquarium should have a very dark background and color enhancing light will help show off the colouration of the male fish. This fish are also very agressive and when challenged will normally confront the intruder. Get them used to your glass taping and they will normally follow your finger as you move along the aquarium. Both direct sunlight and food plays an important part in producing intense red colour on fins and tail. Colour enhancing aquarium bulbs will increase the colour but is only for a short period. Keeping the fish under direct sunlight (of course with some shade) will help retain the red colour without fading.